World AIDS is coming! 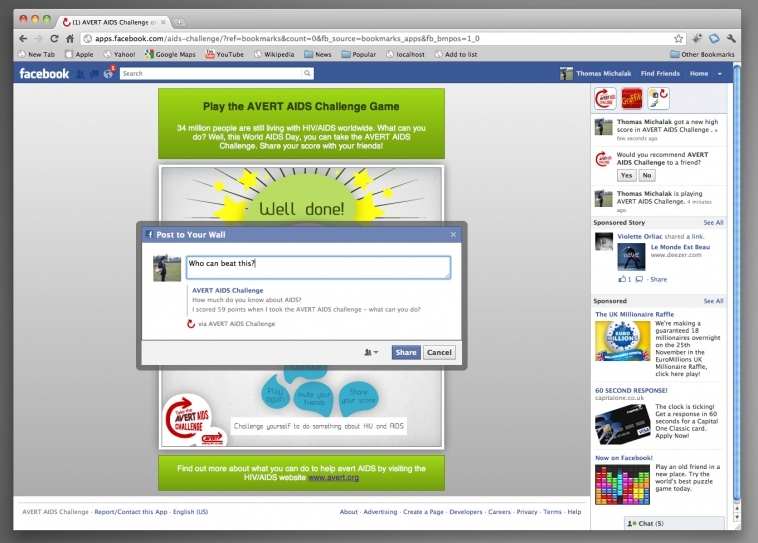 As part of AVERT’s fundraising and awareness campaign, Karl Rixon and I created a game that people can play on facebook or Avert’s website. Avert’s fundraising team are now spreading the word to celebrities with the help of a PR company. The brief was to create something that would make AVERT’s known to a larger public, make it easy for celebrities and people to show their support and have something fun and educational. 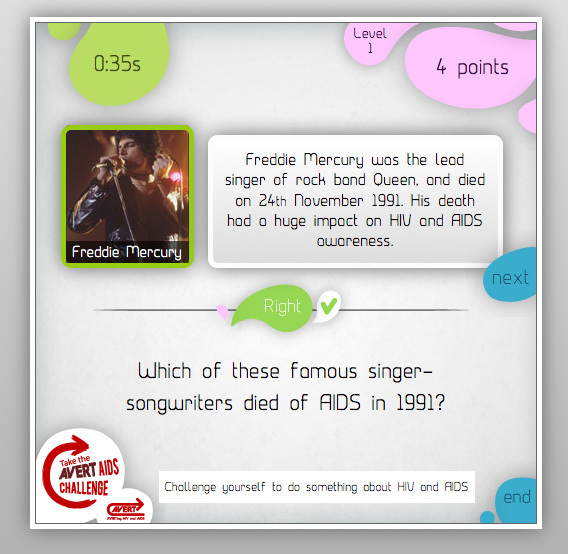 We came up with this fun and colourful quiz/game that can be played on facebook. The idea was to create conversion and interaction through social networks and make it easy for people to show support. Karl, Avert’s web developer, was in charge of dealing with facebook’s api and the front-end coding, while I designed all visuals and create the html/css. 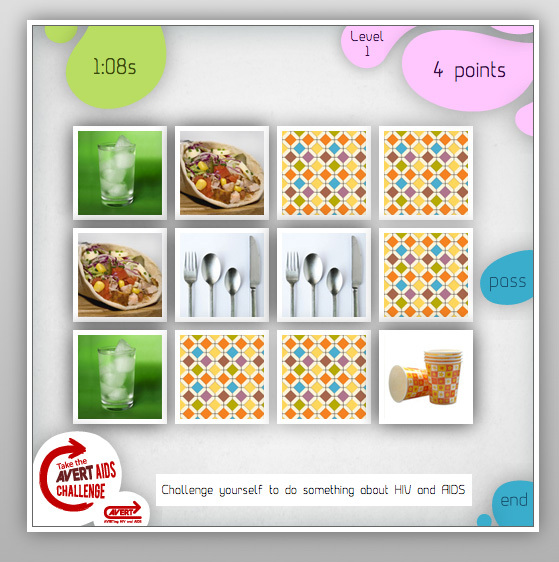 We used jQuery for all animations and we’re quite proud of the final result. The all project took 2 weeks from initial idea to launch on facebook. 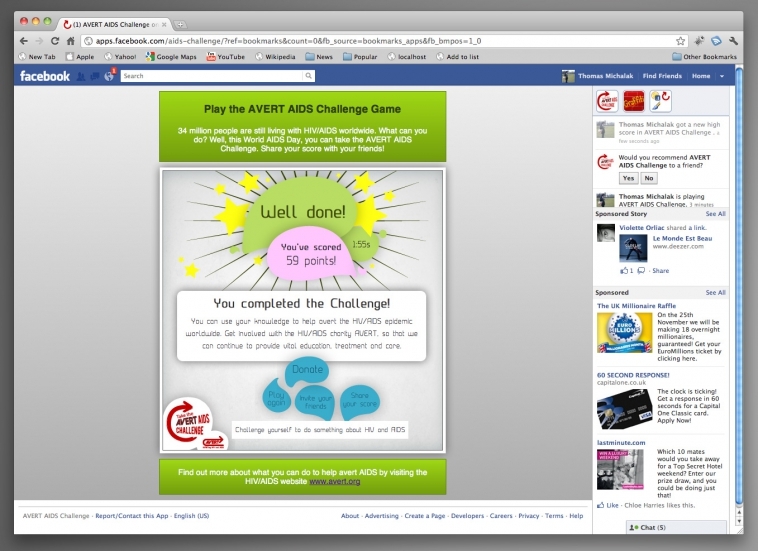 Facebook users are able to share their score with their friends, post results on their wall and invite them to play the Challenge.